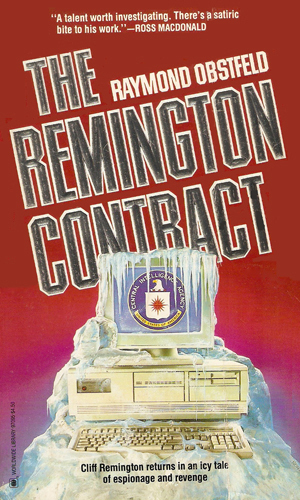 Cliff Remington is an agent with the CIA. He was an agent, at least. He had worked for them for many years in numerous hotspots around the world and was the best man for a very sensitive job, along with top people from other bureaus and governmental departments. When they had all accomplished the mission, the agents were each stripped of their memories through drugs and hypnosis and brain washing. Those doing the memory stripping would normally have had them killed but there was a chance that the mission needed un-doing and so for that the agents might be needed. So the plan was to make them forget who they were and what they knew but keep them alive in case they were needed again. That is how the series begins. Remington is convinced he is going crazy because the amnesia that was induced is causing new problems, making him periodically forget who he now is as well as not remembering who he once was. 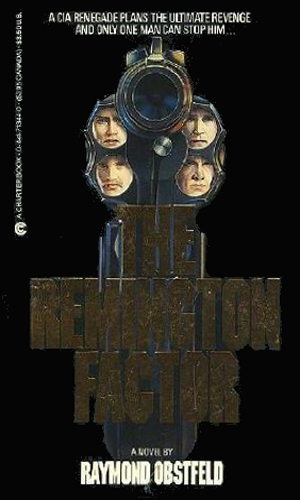 The two-book series about the highly resourceful, immensely confident, and very dangerous agent named Remington is really a side trip in his career with the Agency. The first book details how he slowly regains his memory all the while being put into harm's way by friend and foe. The second book is how, once he has completely left the cloak and dagger world for a new life, it pulls him back into its grasp in a terribly brutal manner, only to discover that Remington is capable of a lot when he is angered. Remington is in his mid 40's when the stories take place. He was an agent with the CIA for nearly twenty years, married with a young daughter at the time of his amnesia. He makes his "normal" living as a landscaper and is very good at it, enjoying the hard work and the outdoors. He no longer wants to be an agent, no matter how good he was at it. He is given no choice. If Cliff Remington cannot remember anything, why is someone determined to kill him? And why is he so good at stopping them? Behind it all is a horrible virus that kills quickly and Remington may know where it is. Except he cannot remember. The CIA's computers have been attacked and made useless by a mastermind calling himself Cronus. He wants something from the head of the Agency. The Agency wants a fall guy to lure Cronus into the open and they pick Remington for the job. I could NOT put the first book down. It was that good. From the moment that Remington wakes up in the first pages to wonder who he is and why he has a gun and who that family in his kitchen is, I was hooked and I stayed hooked until the last page. That is how good that book was. The second book had me throwing it down on the table in disgust with just what I read in the inner liner remarks. Killing a popular character to motivate the main character is not uncommon but killing three when there was no real reason to was just disgusting. Of course, these were just fictional characters, words on a page, and no human was actually harmed in the telling of the story. But still! I did eventually read the second book and it was also very, very good, once I got past the part mentioned above. Remington is a character better left alone but some people don't realize that until it is too late. But being a friend to Remington is apparently just as dangerous. Mr. Obstfeld is a terrific writer. He is also a meany to fictional characters.